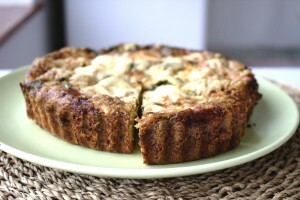 Since my last quiche worked so well, I decided to make another this week! 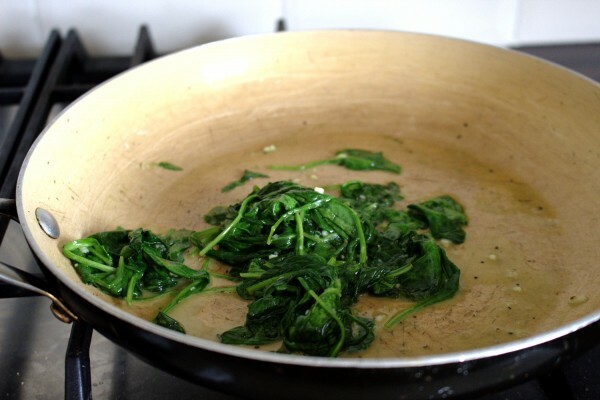 This one with spinach and garlic sautéed in butter is an absolute must. It is so delicious. 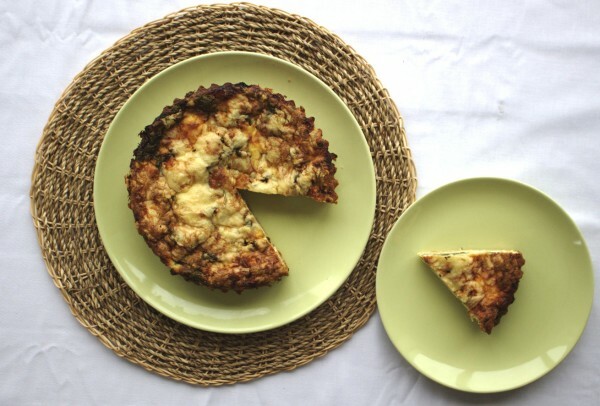 The crust is not only healthy-packed with good fats but tastes better than ‘regular’ pastry, trust me. 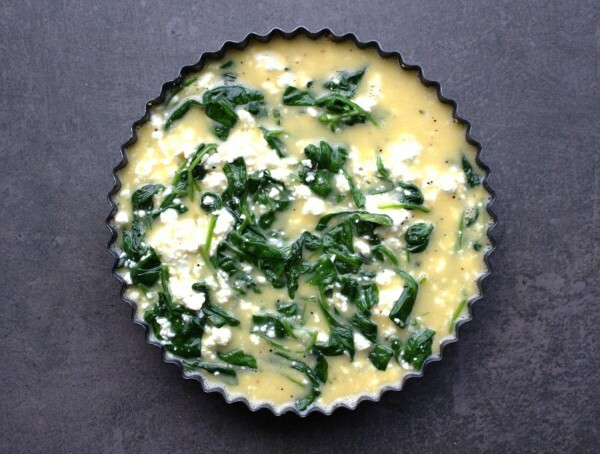 Quiche freezes really well too so this is the perfect dish for making and freezing in portions for weekly lunches. I take it out the night before and defrost in the refrigerator, then heat up in a microwave when I want it. At this time of year, I usually pair quiche with a delicious homemade soup or sometimes with a vibrant salad to mix it up. 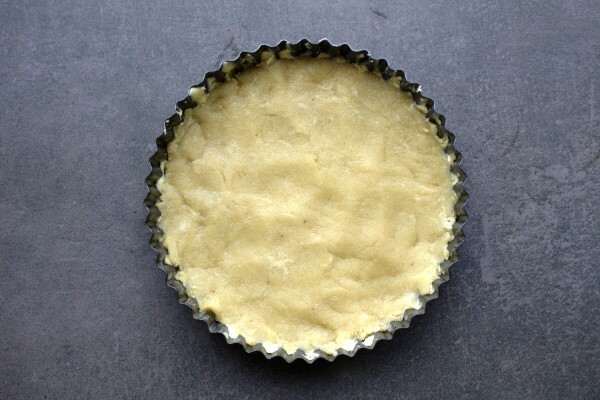 To speed things up, you can make the pastry in advance and store in the fridge. Just make sure to take it out a few minutes before you want to use it to allow it to soften it a little. 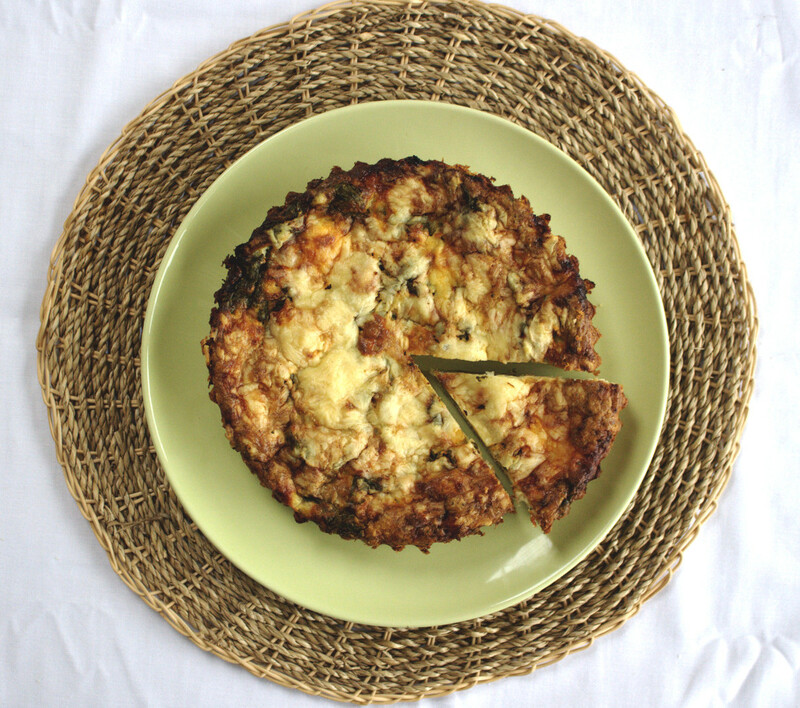 If you are not familiar with dry curd cottage cheese (not the same as cottage cheese) which I use in recipe, see my previous quiche recipe where I explain where to purchase it. 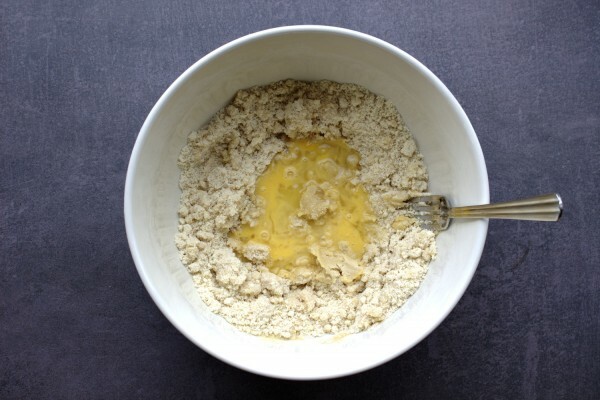 Grease the pastry tin with butter.Mix together the almond flour, melted butter and salt in a bowl until combined. Make a well and add the beaten egg. 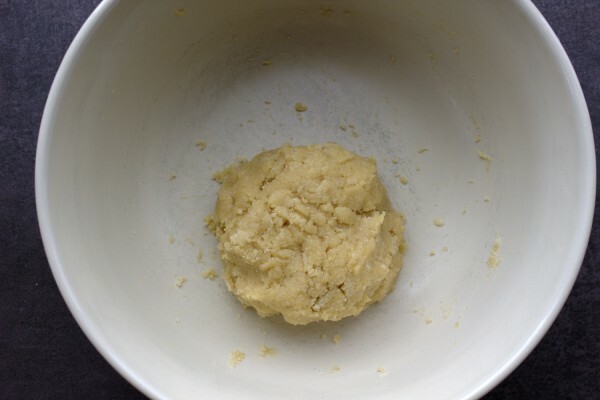 Mix well with your hands or a fork, until a dough ball forms. 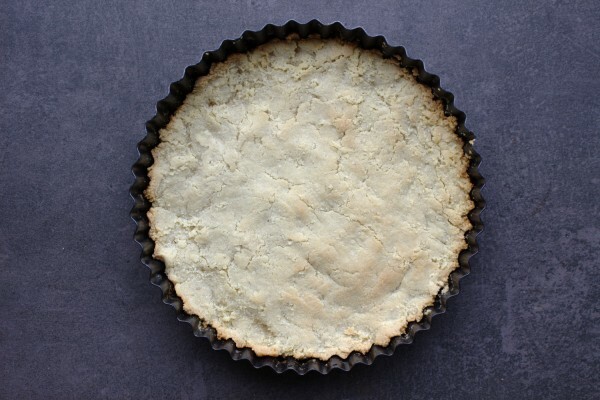 Next, press the crust into the tin using a spoon and fork. Next heat a frying pan on a low heat and melt the butter in it. Next add the spinach and minced garlic. Season with sea salt and pepper. 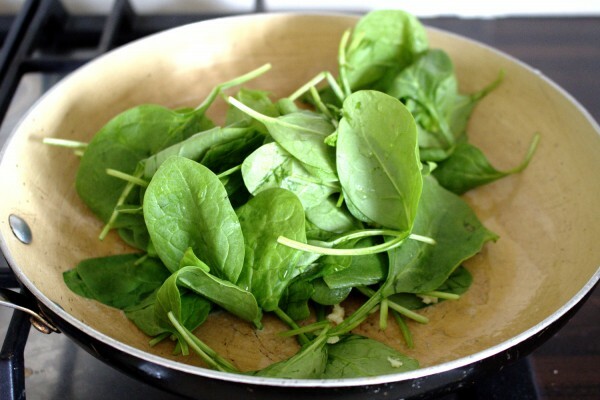 Sauté until the spinach has wilted completely. 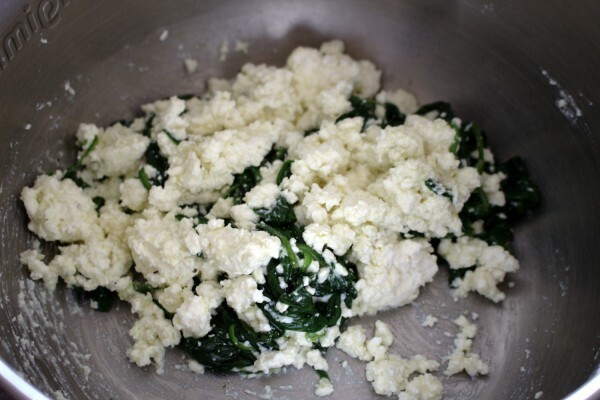 Remove the spinach mixture from the heat and mix together with the dry curd cottage cheese in a bowl. 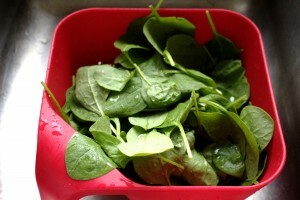 Press the spinach and cheese mixture through a sieve to drain out the excess moisture. No one likes a soggy quiche! 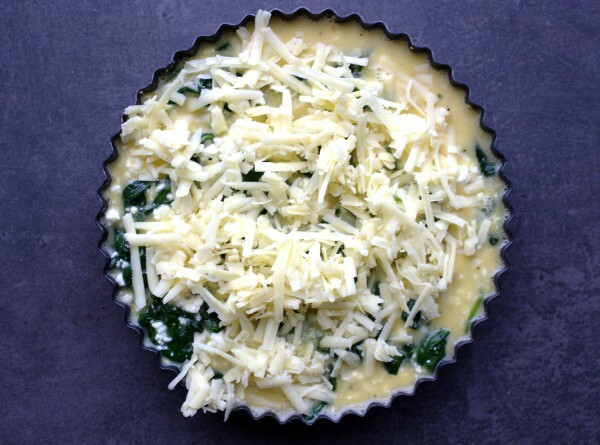 Next, mix the beaten eggs with the spinach and cheese mixture to combine. Pour on top of the quiche crust. Bake for 30-40 minutes until the topping is set and golden brown around the edges.